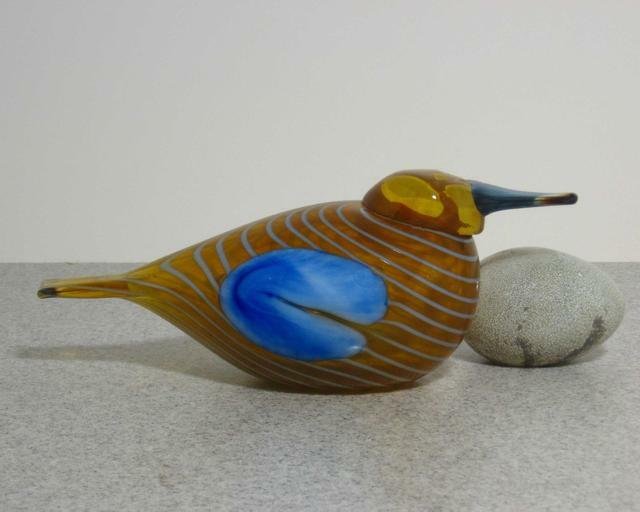 More about iittala Toikka Blue Scaup Duck Called Sinisotka in Finnish, the Blue Scaup Duck is the Annual Bird of 2004. It was limited in production to only that year. A golden, translucent body is decorated with a beautiful blue wing.